A La Verne couple’s dream renovation has become a nightmare of unfinished construction, and they say their contractor is to blame. The project started as an act of generosity by baby boomers Jim and Kim Howard, who find themselves in what’s becoming a familiar position for their generation: caretakers of their elderly parents. "Three years ago my mother-in-law had a massive stroke and she’s paralyzed on her left side," Jim Howard said. To help out, the Howards refinanced their home to build an addition where Kim’s mom and dad could live in safe proximity, while still maintaining their privacy. Be the first to see Randy Mac's next investigation: the surprising cause behind LA's dangerous potholes and cracks. Find out how much it's costing you, and see how your street rates. Friday at 6. "When it came to her parents, (I thought) you know what we can do this," Howard told NBC4 I-Team Consumer Investigator Randy Mac. On a neighbor's recommendation, the Howards consulted with, and ultimately hired Finest Home Remodeling Inc., owned by Lanny Dugar, to do the job. In July of 2014, Dugar’s crews broke ground on the project. "Three months into construction we could actually start to see things materialize," Howard said. But the situation went downhill from there. The original contract was for $160,000, with additions increasing estimated costs to $172,250. But Howard became increasingly concerned when he didn’t see specific materials he’d paid for being installed, including items like windows and a patio cover. "Each time he started something, this is where he was asking for more money," said Howard, who asked Dugar to provide an itemized budget and payment schedule for the remainder of work. 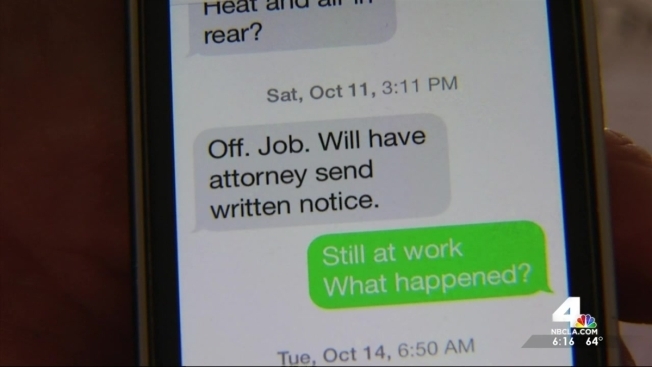 Instead, Howard says he received an incoherent handwritten note. "It just amounts to a bunch of jibberish," Howard recalled. Howard showed the NBC4 I-Team documents and canceled checks that indicate they’ve paid Dugar $135,000.00. During a phone call with NBC4, Dugar did not dispute the figure. The last check the Howards wrote Dugar was on Oct. 9; two days later, Howard says the project ended abruptly. The I-Team has verified that text message, and has made numerous attempts for a face-to-face interview with Dugar, whose business address is a post office box at a Calabasas UPS Store. Reached by phone, Dugar told NBC4 he "didn’t walk off the job," and that he "was locked out" by the Howards. He indicated the money dispute may end in litigation. The Howards have filed a complaint against Dugar’s company. The resulting investigation by the Contractors State License Board found that the work on the Howard’s home "does not meet accepted trade standards for goods and workmanlike construction." The investigator estimated the cost to fix what’s wrong at $173,874.24. Howard’s reaction: stunned and furious. "I don’t know if I can say how I feel," he said. A tour of the property reveals why he’s so frustrated: NBC4 saw a skeleton of a frame of an addition, surrounded by dangerous 6-foot deep trenches; raccoons are living in the attic, because of easy access from the outdoors, and a colony of ants crawls along the woodwork. "It’s a little frustrating to say the least," Howard said. Dugar is scheduled to meet with the Contractors State License Board and address their investigators report this week, but what the Howards want is a date certain for the project’s completion: Howard’s elderly in-laws are still living on their own, and in need of help. "I don’t get upset very easily but this is wrong," Howard said. 1. Beware the down payment: California law says contractors cannot collect more than 10 percent of the value of a contract up front. 2. Insist on paying "as you go," which is typical in major construction projects. 3. Always verify what you pay for: if you’ve handed over money for windows and concrete work, you should see it; if you don’t see it, report it. 4. If you have a complaint about a contractor, contact the Contractor State License Board (CSLB) at 800-321-2752.